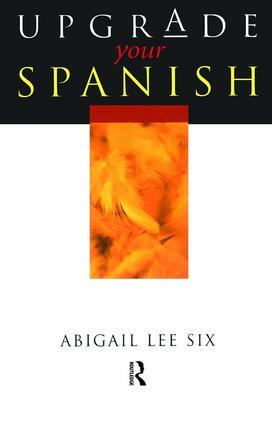 Upgrade your Spanish is the ideal guide for students wanting a better grade in their Spanish exams. It offers a thirty day revision programme that is guaranteed to improve your results. In the countdown to exams, students should simply spend between 30 minutes to an hour a day with this book, and see their mark go up a grade!This short revision guide focuses on three key strategies for improving your exam results: 1) Eliminating basic errors and slips of the pen; 2) Increasing and consolidating your vocabulary; 3) Moving on from school-book Spanish. Day 30 Medley of mixed exercises.